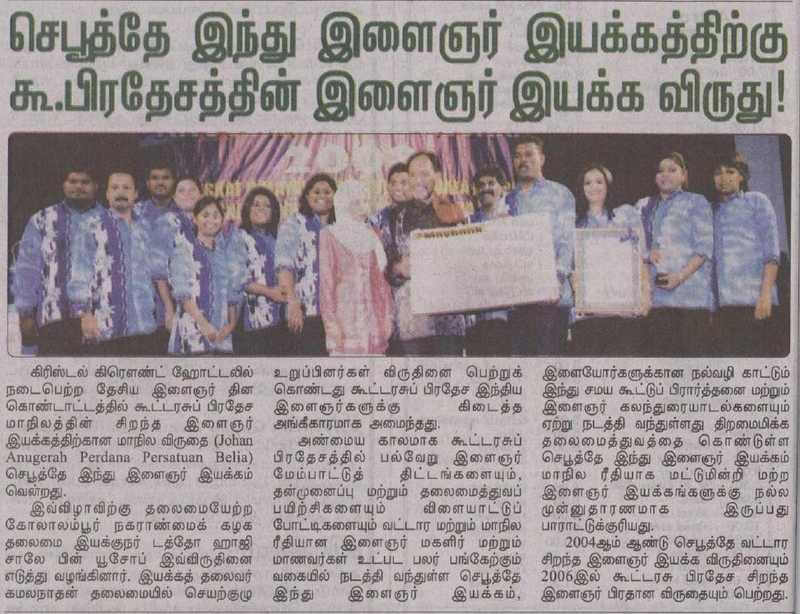 Once again Seputeh Hindu Youth Organisation (Seputeh HYO) was awarded ‘Johan Anugerah Perdana Persatuan Belia Wilayah Persekutuan, Kuala Lumpur’ for year 2008. This denotes that Seputeh HYO is the best NGO in Federal Territory, Kuala Lumpur. The previous awards was received in year 2006. 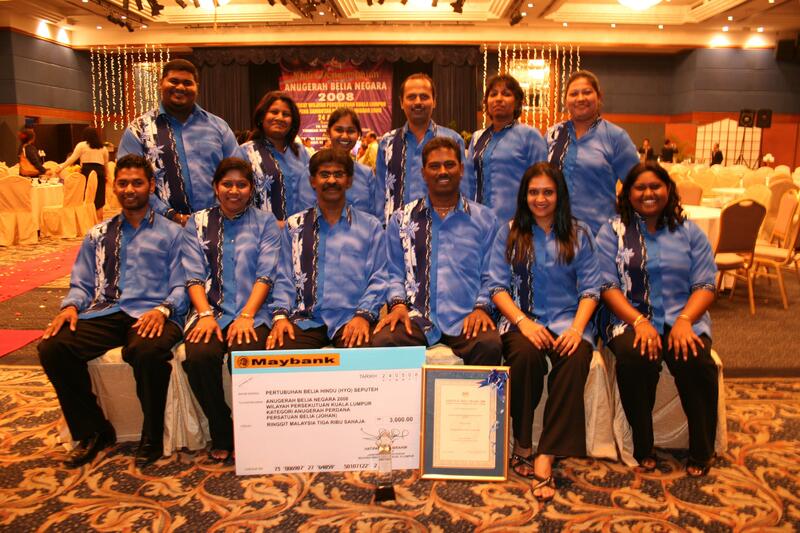 This prestigious awards giving were held during Hari Belia Wilayah Persekutuan, a yearly event organized by the of Youth and Sports Federal Territory (Jabatan Belia dan Sukan Wilayah Persekutuan) which was held on 24th May 2008 at Crown Princess Hotel.